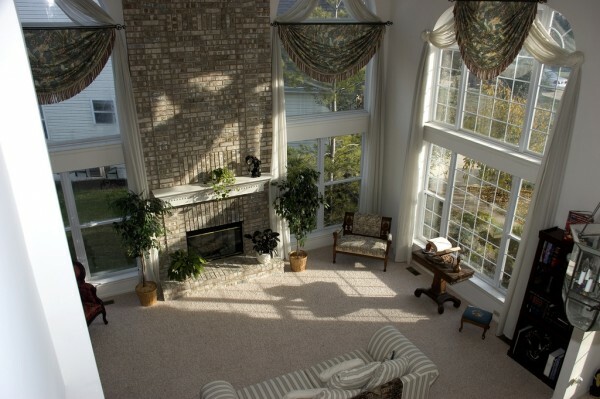 Carpeting is one of the biggest purchases made for a home. It’s an important investment that homeowners want to make sure lasts a very long time. However, carpets endure a lot on an everyday basis, so in order to increase the chances of longevity, they must be properly cared for. That includes hiring the services of an Arvada professional carpet cleaner to come in about every 12-18 months on average as is recommended by most manufacturers. This will turn out to be much cheaper than having to pay for repairs or a total replacement. A deep carpet cleaning comes with many benefits, but one of the most significant is the ability to help maintain a carpet’s quality and extend its lifespan. It’s inevitable that a carpet will experience normal signs of wear and tear over time, but allowing it to go for long periods of time without a cleaning can result in irreversible damage. Homeowners may begin to notice their carpeting take on a crushed, matted and dull appearance, which is unattractive and evidence of a potential breakdown in the fibers. As long as carpet cleanings are consistently scheduled, they can assist in restoring carpet fibers to their original luster and uphold its structural integrity. Though vacuuming on a regular basis is necessary, it only removes surface pollutants from carpets while leaving behind anything that has become embedded deep down in the fibers. Rental carpet cleaning machines don’t quite make the grade either because they simply don’t have the same power that professional equipment has to extract soil, dust mites, allergens and other contaminants that cling to fibers. When these pollutants are left to build up in a carpet, they decrease indoor air quality and begin to cut away at the fibers. A major flood doesn’t have to happen for your carpet to suffer from water damage. Even spills, minor leaks and too much cleaning solution can leave a carpet wet enough to become the perfect place for mold and mildew to begin to develop. Trained carpet cleaners are able to thoroughly clean a floor to get rid of any chances of a mold-friendly environment and ensure that it is completely dried out to prevent future problems. To make certain your investment doesn’t go to waste, don’t neglect the importance of regular professional carpet cleanings from an Arvada company. Your health, home and wallet will thank you.